Mr. K.S. Bhat is a Graduate Mechanical Engineer having about 40 years of industrial exposure both in Government and private sector. After completion of in-plant training in one of the leading Engineering firms in Coimbatore, he joined India’s premier research organization – Indian Space Research Organisation – at their Trivandrum centre. He worked there as Project Engineer under the guidance of Dr. APJ Abdul Kalam. During his venture as private entrepreneur, he was associated with M/s. English Indian Clays Ltd., Trivandrum – a leading China clay manufacturing unit in India- and has developed various process equipments for them. He is also instrumental in developing clay processing machines on import substitution basis. He played a major role in developing machines for their process and expansion projects. He is a part of BKG and he is responsible for total corporate management and finance of the company. He is very meticulous and systematic in his approach towards any task. He ensures the company is moving in the right direction at the right speed. He takes key strategic board decisions for the company. Mr. T.S Kuttan is a mechanical Engineer having started his He started his own firm in 1986 executing small machining job orders for mid-sized companies. Down the line in 10 years span, because of his extra-ordinary vision and indefatigable efforts the company has expanded exponentially and catering to various organisation sectors , government organisations , multinational companies , and various leading companies to India . 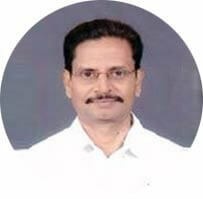 He is a leading Industrialist in Coimbatore and has about 35 years of exposure in the Engineering Industry. Over the years of his practical exposure, he has gained extensive knowledge in all machining equipments, engineering methods and process and has an excellent capability in trouble shooting and manpower management. He is a part of BKG and he is responsible for manufacturing, quality, human resources and implementation works of the company. He is highly focused and has sharp mind. He has a great level of self confidence and a positive attitude. His vision is endless and he continues to strive and put his best foot forward for achieving his endless dreams and goals. 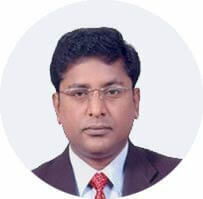 Dr. S. Giri is a Post Graduate Mechanical Engineer and completed his MBA in Marketing. He also holds a Doctorate in Management Studies in corporate entrepreneurship and skills obtained from International school of business, London. He is the Director of Marketing for BKG group of companies and has established business contacts across the globe. He worked with one of the biggest American pump manufacturing company in various levels in Design, application engineering and marketing. He is having about 25 years of exposure in the Engineering field especially in Marketing. Through his marketing efforts, he has positioned Hydro Prokav brand as one of the leading screw pump manufacturer globally. Within 15 years the company has grown up to size of catering to more than 60 countries throughout the world. One of his key strength is his marketing skills and his expertise in brand building and excellent relationship building skills. 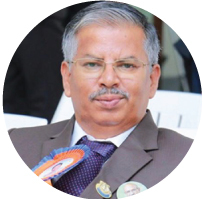 He is active participant in various business clubs and he is the president of Rotary international, Kovaipudur . He is member of Lions club , Member of Indo American chamber of commerce , member of Indo-Australian chamber of commerce , Member of EEPC ( Engineering export promotion council of India Active member of federation of Indian exporters organisation. Hydro Press Industries is a Partnership company established in the year 1991. Hydro Press Industries is one among BKG group of companies. Hydro Press Industries is of the leading manufacturers and exporters of various types of filter presses with different sizes and configurations.